Mr. Patterson, is a Senior Investment Associate at BRC Advisors and works in the Beverly Hills office with a team of brokers focusing on the Inglewood, Hawthorne and South Los Angeles area. Prior to his arrival to BRC Advisors, Mr. Patterson was a successful small business owner in Inglewood employing well over forty people for twenty years. During this period, he was also a property manager for several multi-family buildings in the Inglewood and South LA area. This early experience in real estate laid the foundation for his future involvement in the business. His next move was brokering the sale and purchase of residential homes, and mortgage loan brokering in West Los Angeles. Throughout his career, sales with integrity and a strong desire to help and serve people has always been the major component of Mr. Patterson’s success. 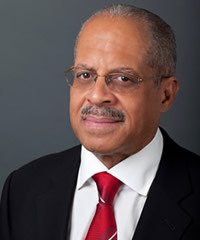 Mr. Patterson has his California Real Estate Broker’s license and is a member of the National Association of Realtors. In addition, Mr. Patterson received his Bachelor of Science Degree in Business Administration from the University of Phoenix along with specialization certifications in Human Resource Management, The Art of Negotiations and Total Quality Management. His studies continued at the University of West Los Angeles School of Law. Mr. Patterson has lived in the Inglewood area since 1974. In fact, he was born and raised in Los Angeles, California and comes from a family of teachers and real estate investors. This has enabled Mr. Patterson to connect with people from all walks of life and cultures. He is also a father who has two daughters and two sons that are also educators. Mr. Patterson believes in strong family values with a strict emphasis on education.